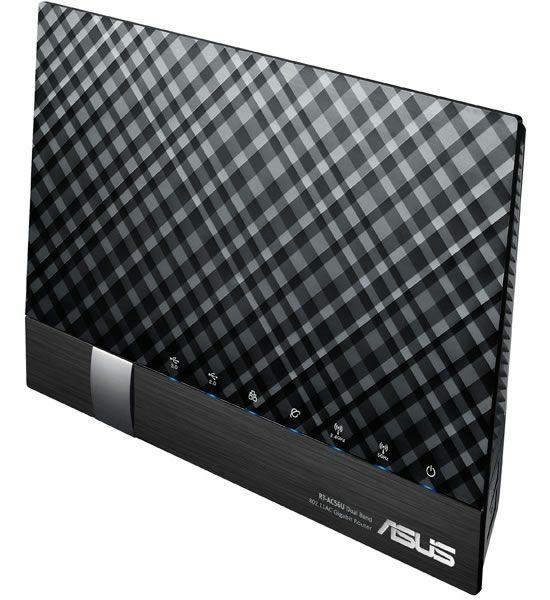 Asus have just presented its new dual-band RT-AC56U router that offers compatibility with the imminent wireless networks 802.11ac. It haves a dual core processor of 800 MHz and 256 MBytes DDR3 ram to improve the endurance on both 2,4 GHz and 5 GHz networks. In numbers that we all understand this router is capable of working with speeds of 867 Mbits/s (Wi-Fi AC) + 300 Mbits/s (Wi-Fi N), what an overall bandwidth of more than 1.200 Mbits (150 MBytes/s). This wireless router processes the connections in an intelligent way depending on where the user is located making the amplification use and direct sending of any direction. 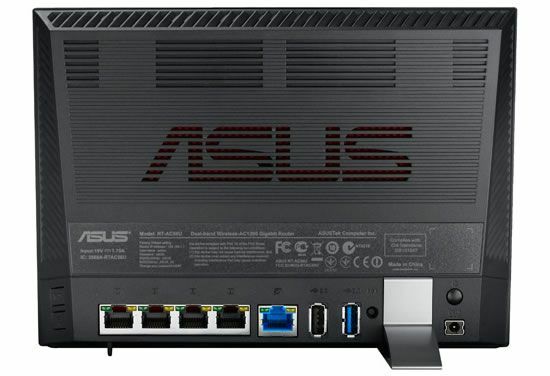 Asus RT-AC65U promises to improve the wireless coverage a 150% compared to competing routers. It integrates a USB 2.0 port as well as a USB 3.0 port from where you can share files, printer or 3G connection with a click, and more. The company has also developed the iOS/Android AiCloud app that allows the permission to access the router from the Wi-Fi or from the internet. The router has a downloads manager that permits to download internet content to a USB device connected to it. TP-LINK bets for practical with its new pocket device TL-WR710N. Small, but multifunction, you can use this gadget like a router, television adapter and wireless repeater. For professionals on the go, in the home or on vacation, using and sharing a 3G internet connection will be a child’s play. 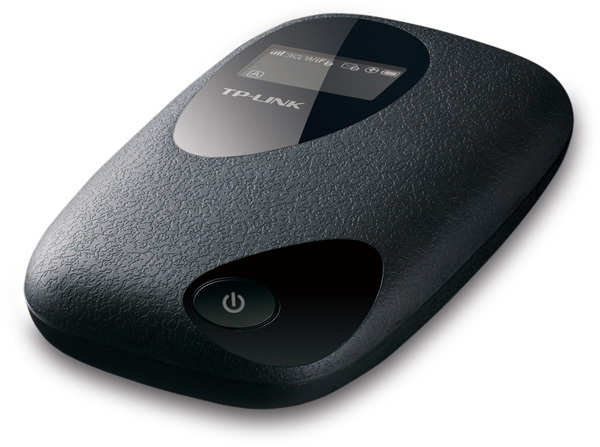 TP-LINK uses the new device M5350 in Italy, a real 3G hotspot that’s portable and compact, with SIM card slot and lithium battery. After inserting SIM card with data into the device any, a Wi-Fi hotspot that can share the 3G connection with up to 10 WiFi devices connected simultaneously will be instantly created. Support for the latest 3G standard transmission, allows the M5350 TP-LINK to achieve download speeds of up to 21.6Mbps and uploads up to 5.76Mbps, offering users smoother and faster web browsing. With its powerful 2000mAh battery, the M5350 can operate for 6-7 hours at its full capacity and be recharged simply by using a micro USB cable connected to a laptop, or the included portable charger adapter. Battery performance is a key factor in ensuring the actual mobility of the product. The design resembles a pebble eroded by the sea, and is a winner of two prestigious awards: the IF Design Award 2013 and the Red Dot Design Award 2013, ensures the device is solid, resistant to minor bumps and elegant. The weight (92.5g battery included) and size (94×56.7×19.8mm) give the user maximum freedom of use. Today, thanks to more modern models of smartphones having support for 3G networks, it has become possible to use phones to share the connection with other tools such as a tablet, pc or web-tv. If your telephone has an adequate supply of Gigabytes, we can easily turn it into a 3G router. Take for example a Nokia with Symbian operating system, models Anna or Belle. With a simple software, Joiku Spot Light, this becomes possible. By logging on to the official website of the manufacturer of the software in question, once you have chosen in your phone model, download the software "free" version. If you claim advanced features, you can purchase the professional version. According to a study published by the National Institute of Communication Technologies (Inteco), almost 12 percent of Spanish Internet users take advantage of the wireless networks of another individual. The trend is increasing: the rate increased from 6.9% in 2009 to 8.7% used in 2010. However, there are still many users who do not take measures to protect their networks. I have two Comtrend routers and would like to connect via WiFi to extend my wireless network. One of them is shaped by my operator, Jazztel, and connected to the telephone line to access the Internet. If 2012 was the year when security became the trending topic in the industry, DDoS attacks were the most recurrent message. In that sense, the denial of service attacks has become especially popular thanks to the many actions taken by hackactivista groups like Anonymous. To better protect companies against such attacks (mainly consisting of increased traffic unsustainable for the system), Cisco has established a new partnership with Arbor Networks to incorporate its technology in the company’s routers. With these solutions, the Cisco Carrier Routing System can detect threats in traffic portals automatically, otherwise work should be done by a separate computer connected to the router. Thus Cisco has licensed the Peakflow SP Threat Management System for the module Arbor Cisco Carrier Grade Services Engine (GCGSE) of class CRS​​-1 routers. Arbor already has a similar agreement with Alcatel-Lucent and its router 7750SR. Although exact details are not known, Arbor Networks confirms that it is possible that routers equipped with its technology will be more expensive than buying a router and anti-DDoS system separately. However, it is expected to improve bandwidth and integrated traffic, offsetting this premium medium term. Cisco and Arbor have had a long historical relationship, both cooperative and competitive. More than a decade ago, Cisco was an early investor in Arbor. Over the years, Cisco developed its own anti-DDoS technology, and began establishing relationships with third parties in 2010, as with Arbor.